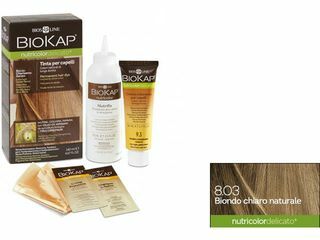 BioKap Nutricolor is the color line long life and restorative treatments color-safe. 40 natural colors, warm and bright with excellent coverage of white hair. With Tricorepair complex to repair the hair and Argan oil to nourish them. Even for the most delicate skin. 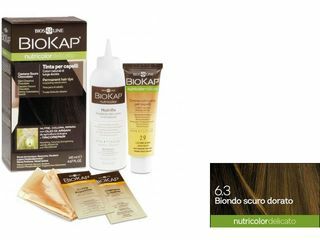 No Ammonia, no Resorcinol, no Parabens, no Fragrance and no Paraphenylenediamine. Nickel and Dermatologically tested.